1. The surface of glue melting oven is coated with the Teflon antisticking layer, efficacious prevent the hot melt adhesive against carbonization,to insure the adhesive in the beststate and reduce blockage. 2. The gear pump adopts frequency conversion which accurate control adhesive capacity output. 3. Double filter can eliminate impurity to prevent the spray head from blockage. 4. The system with cooling device can prevent the pump from damage. 5. The system with temperature protection function can prevent the device from damage. 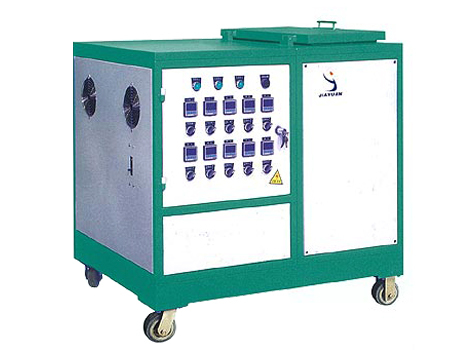 Model JYP045 Hot Melt Adhesive spraying Machine is suitable for Filter ,car lamp and on.